This is what I love about people: everyone has an incredible story. And you will never know a person's full story, ever. Even if you're their best friend or even if you've been married to them for fifty years. You will never know everything. The human story is so complex and fascinating and every being on earth has an incredible story. This is totally fascinating to me. I love hearing people's stories; I just want to know everything about everyone. I suppose that makes me a little weird, but I believe that every story has value. And I think it's also an important thing to remember that as we go through our daily lives. We are quick and easy to judge. We easily become mad at strangers for small quirks and annoyances. We easily become irritated by a person's outward attitude. It's important to remember that you don't know anything about their story. You don't know how their day was, how their life was. And you can't possibly even begin to wonder what is on their mind. Their story is a long and complicated one. Don't tell someone else's story for them by rushing to assumptions. 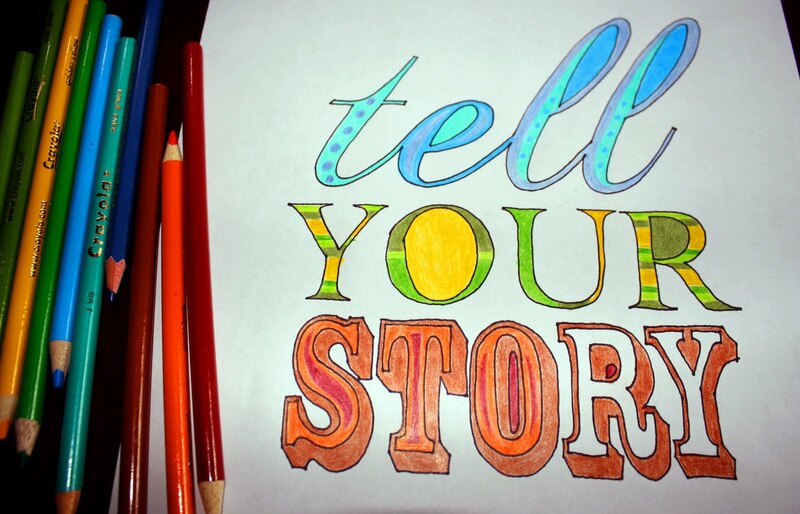 Tell your story. Ask people about theirs and tell theirs. Life and human relationships are continuous and interweaving stories that connect us all.